One of the biggest concerns of sellers on Fiverr is that their gigs do not get listed on the first page on Fiverr search results. 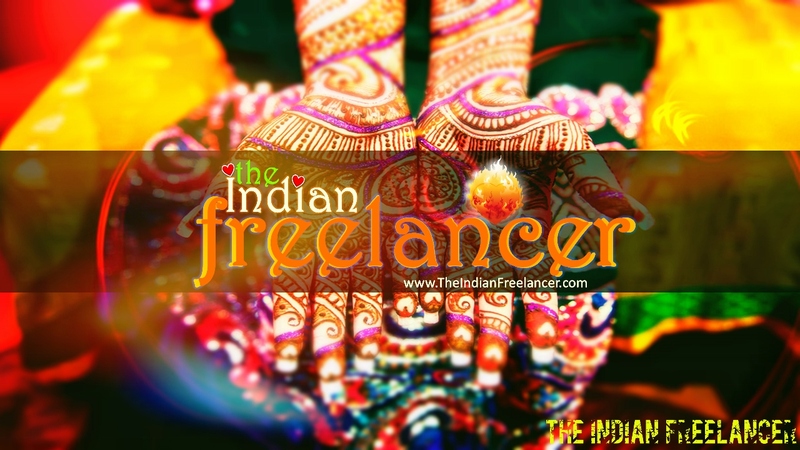 A subscriber friend from my YouTube channel asked me, “when I search on Fiverr using the skill that I sell or the gig title I do not see my gig listed. What can I do to get it listed on the first page on Fiverr?” Well, to tell the truth, there is not one thing that you can do. 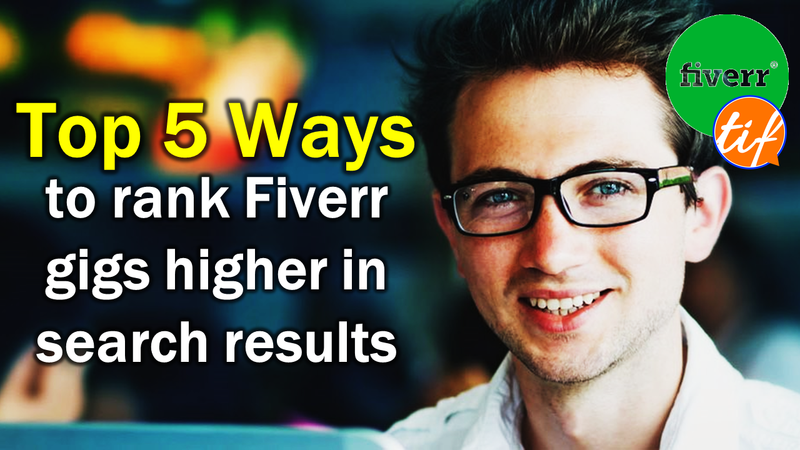 In this article, I am going to talk about the top 5 ways to rank higher on Fiverr. This article is going to be helpful to everyone working on Fiverr, whether you are a newbie, level 1 or level 2 seller or even a Top Rated Seller who is trying to sell more on Fiverr. However, if you are brand new to Fiverr, and looking to get your first order on Fiverr and learn more about Fiverr, you can check out my course on Udemy, where I talk about everything that you want to know about Fiverr. I will leave a link with a Discount Coupon at the end of this article. As I said, no single thing can put your gigs on the first page on Fiverr. Rather, there are a group of things that you can do to try and push your gigs to the initial pages on Fiverr’s search result. When you do these things religiously and repeatedly, you can expect to see your gig list higher on the result pages. Fiverr is a search engine in itself and we need to try and optimize our gigs to train the algorithm to find our gigs more often and faster than other gigs in the same category. Before I list out the top 5 ways to rank Fiverr gigs higher in search results, I need to tell that the Fiverr algorithm is very powerful as well as mysterious in nature. It changes all the time and hence it is very tough to fit it one formula which can work all the time. I am listing these based on my years of experience with Fiverr. I have also interacted with a lot of sellers on Fiverr, and they were kind enough to share their experiences with me too. So, these top 5 things to rank higher on Fiverr can pull your gigs up in the search results. I have seen that the following things work and work well for most of the Fiverr sellers with whom I have been interacting. Now, let us take a little deeper look at each of these. It will give you a clearer idea of what I am talking about here and how you can achieve each of these. If you have any questions, please feel free to ask in the comments section below. I will be happy to answer your queries. You can ask me anything, by the way! The entire online entrepreneurship or the internet business focus on keywords. Keywords are those words or group of words that your probable buyers use to search on search engines, like Google, Bing or Yahoo, etc. Here we are more concerned about the Fiverr search engine. You would want to try and get everyone searching those words online to land upon your Fiverr gig and probably buy your services. I wish they were as easy as I told. A lot of brainstorming, sweat, and blood goes into finding the right keywords or key phrases for your gig on Fiverr. Now, I am not going to go in depth of keyword research. Let’s save it for later. The important takeaway from here is the fact that I need to perform keyword research and find the specific keywords which are most relevant to our gig and we think that the buyers are also searching with those keywords when they are looking for services that I offer on my gigs. Keywords are the key things to get started! Once I have my keywords in place, it is time to tell Fiverr search engine to route all the buyers who are searching for services that I offer. It is time to optimize my gig for Fiverr search engine. Let’s see what all we can do to try and optimize our gigs. The first places where we should put our keywords are the gig title, gig tags and gig description. Make sure that you have your keywords in all these places. For example, if your keyword (or key-phrase) is ‘Indian voice artist with a natural accent,’ ensure that this entire phrase is there in the title of your gig, in the gig tags and all over the gig description. It is a must. A pro tip would be to start the gig title and description with your keywords. Also, ensure that you do not use the keywords too many times in the description as Fiverr does not allow this anymore. If you put the same word like, logo, video, picture, image or any other word very densely in your description, you will not be able to save the gig description. So, please use the words conservatively and wisely. Another pro tip would be to put your keywords or phrases in the gig package description and gig extras as well. Fiverr should see the keywords spread all over your gig, as much as possible without being too much available in the description itself. Gig research is one of the best ways to try and push your gigs higher in the rankings on Fiverr search results. What is gig research? It is nothing but going through the various other gigs in your category which are selling more – basically, browsing through the gigs of the Top Rated Sellers or Level 2 sellers which are having a lot of reviews (which tells that the gig is selling well) and are showing up on the first page of Fiverr search. When you do that, your purpose should be to try and understand the best practices that those sellers are following in their gigs. Do not do this with an intention to copy the top gig (or gigs) in your category. Copying other’s content will not only affect your gig negatively but also get your gig flagged by Fiverr algorithm, and that particular gig will never show up on initial Fiverr result pages. Research the top gigs and check their title, description, tags, packages, extras, images, videos, and even PDF portfolios. Check everything that they are doing. Pick up the best things that you feel can boost your gigs. Modify and own your content and then put it on your gigs and publish. Again, do not copy! Never! Be available to the buyer and respond to the queries as soon as you can. Everyone loves a fast-responding seller, and so does the Fiverr algorithm. It just loves those sellers (or gigs) who make it a habit of responding to the queries of the clients with supersonic speeds. Now, it is not possible to sit in front of the computer all day, 24/7 – right? So, what to do? There are ways to handle that as well. Firstly, keep the Fiverr page open in your browser when you are working on the computer. If you are on chrome, you can hear a pop sound when a new message arrives. Plus, keeping the Fiverr page open (even in an inactive tab) shows you are online. Many buyers look for online sellers to get a faster response to their queries. Secondly, install the Fiverr mobile app. You will get instant notifications of a new message, and you can respond even on the go. It is a very effective way of being available as much as you can. When I first installed the app, it expedited my growth on Fiverr. As a pro tip, I will suggest you configure your fitness band or smartwatch so that it vibrates whenever you get a new message on Fiverr. I have MI Band 3 which I have configured this way, and now I am always active and available. Having said all this, I would also suggest you not to be too much bothered about being online all the time. I am not trying to be a hypocrite here, but I want to remind you that there is a life outside Fiverr as well. It is OK if you miss a couple of messages here and there when you are busy doing something important or when you are sleeping. It is absolutely fine. Just come back every 4 to 5 hours during the day, and that should be enough. Now, this is something very subjective and not every seller agreed with me on this point. I think the cancellation rate of the gigs has an effect on the gig’s ranking on Fiverr search pages. If you want to rank your gigs higher, try to avoid cancellations as much as possible. I agree that at times we get into very messy situations and we need to cancel. Cancel orders only if there is no way out. Try to convince the buyer not to cancel the order and resolve the issue within yourself. There are various ways available to do that, but the resolutions are very much specific to the situations. For instance, if the buyer asked for something which you do not offer in your gigs and then he wants to cancel, offer him something else that you do on Fiverr. It can be from another gig too. Most buyers need a variety of things to be done. More often than not you will find that there is something that you can do for the buyer which he is also looking for at that moment. Offer him that service in exchange and try to avoid cancellation. The resolution center which you can access from the order page itself can come in very handy in such situations. Again, try to avoid cancellations but do not sweat too much on that too. If the buyer is persistent and insists on canceling even after you offering other alternatives, and you see no other way, go ahead and cancel the order. A mutual cancellation is much better than a bad review and rating. Bonus Tips: Sell More. Gather 5 Stars. Level Up. If you see carefully, you will find that most gigs on the first page of Fiverr search are having a lot of reviews with them. So, try to sell as much as you can. Try to gather as many reviews as you can. There is a definite connection between the gig’s rank and the number of times that gig sold in recent times. So, keep selling. Again, the top gigs are also those who are having an average of 5-star ratings. Most gigs on the first page of the search result will be 5-star rated. So, try and put in your best on every order that you take up. Ensure that the buyer rates and reviews your order and when he does, he rates it no less than five stars. That, in my opinion, will also help your rankings. Lastly, when you notice the gigs on the first page of the search results, you will find that these are those gigs which are offered by level two or Top Rated sellers. So, if you level up, it will mean that the chances of your gigs to rank higher on Fiverr will go up too. Though there is no direct relationship between the level of the seller and the gig rank, I include this in this bonus tip only because the gigs that rank high are from top sellers. Note: Number of reviews alone does not decide the rank of any gig. With this, I have come to the end of this article where I told you 5 top things that you can do to rank your gigs higher on Fiverr search results. Keep in mind that Fiverr’s algorithm keeps changing and there can be new ways to rank higher on Fiverr in the future. But these steps can only bring you closer to the first ranked pages. As mentioned earlier, here is the direct link to my course on Fiverr which is available on Udemy at present. Feel free to check it out using the following ($9.99 DISCOUNTED PRICE) link. I really hope that I could make sense with the points above. If you are still unsure and have questions regarding this, please feel free to get in touch using the comments section below, and I will be happy to answer your queries. Till we meet again, take care and have fun! Cheers!